4.Charging time: 2 hour, working time: 3 weeks Uninterrupted working time: 90hour, USB charging cable included. 5.12 month warranty, with good customer service. Note: The Battery of bluetooth keyboard is low, please charge before use. Keyboard is easily removed and adds to flexibility. You can leave it behind if there is no need and you want to lighten the load. 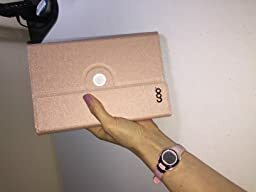 My daughter loves it for her iPad Mini 4. 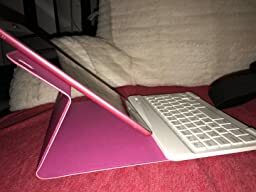 I got this keyboard case for my mom to use with her iPad and she loves it. Setting up the keyboard was easy and it was a perfect fit. So far there has been no issues with the case or keyboard. I have only had my COO Wireless Removable keyboard for a few days. The product arrived on the day I was promised and had great communication from Amazon regarding the tracking and shipping information. So far I am pleased with the product. The keyboard works great, however, it would be better if the space bar were a little longer, I keep hitting the button next to it, which is a little annoying but I'm getting used to it. The only negative thing I have to say is there are a lot of things on the keyboard with no manual as to what they are or how to use them. 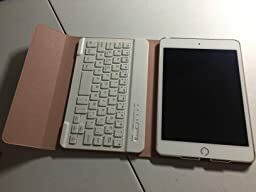 In nut shell I am pleased with this wireless keyboard for my mini IPad 4. Love this keyboard case. The case itself feels very durable. 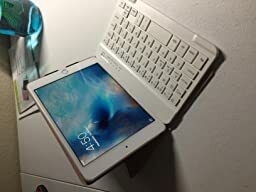 The only problems I have is that the keyboard is super tiny, but that's because the iPad mini is really small, not the manufacturers fault, plus with some practice you get accustomed to the keyboard size. 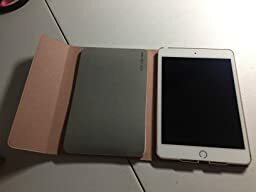 Another issue is that the keyboard rubs against the screen of the iPad when closed, so all I did was purchase a tempered glass screen protector for my iPad. Lastly, the Bluetooth doesn't automatically connect after connecting it for the first time, I find that I have to set it up manually each time. Minor details though, overall I enjoy the functionality of the case. The case is great. Slim, yet protective design which holds my ipad mini securely. I love how easy it is to flip the pad around to fit the direction I want to hold the ipad in. The only downsides are the it's a bit more flimsy than I wanted for typing. The keyboard doesn't stay inside securely, so you are often losing the keyboard. The keyboard is also very small and not quite as comfortable as I would have liked. The case though is exactly as described and came in perfect condition. 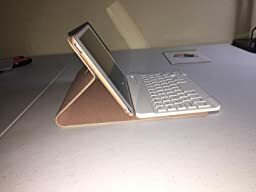 I bought a similar case for a Samsung tablet that I have. I much prefer this style for traveling. It's easy to remove the keyboard while I walk around during the day. 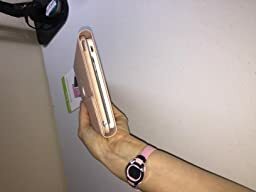 The case is attractive and doesn't look like it contains an electronic device which helps to avoid theft. 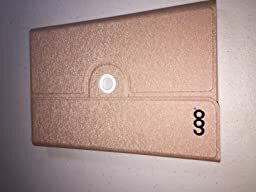 It is small enough to fit in a coat pocket and the tri-fold design protects the screen My Ipad Mini 4 fits very securely in it. When the keyboard is in place, I usually have a small swatch of cloth between it and the tablet screen. It's not so much that the keyboard scratches the screen protector, it's just that it COULD. Plus, I like to have the cloth handy to wipe the fingerprints off of the tablet screen. I'm just picky like that. Another great thing is the price. The quality is really good and worth more than I paid. 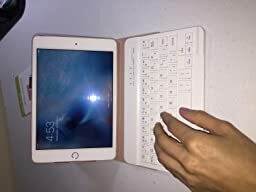 I was able to purchase this case and a rubberized case from a different manufacturer for less than the cost of a single case from other brands. Overall, I love this case and will always buy this type for travel. 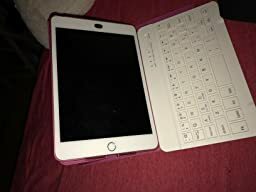 As a medical student, I recently got the iPad mini so that I can take notes while I'm in the hospital. I knew that I wanted a keyboard; however, I didn't want the bulk that a keyboard can cause. 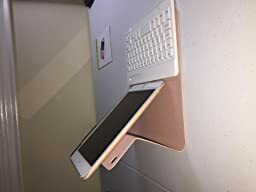 I also wanted the option of removing the keyboard and still having a case. 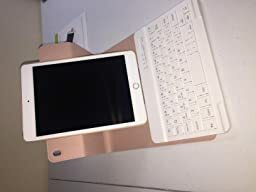 I also wanted something that would fit into the standard pocket of my white coat and I wanted to the option to rotate the keyboard as I type (horizontal and vertical). I didn't think I would find a case that had everything I was looking for. When I saw this one, it had everything I was looking for. 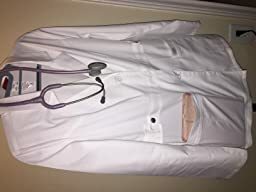 I love it, and it fits perfectly in my white coat. The material feels very good and the color is a soft rose gold. It's not flashy at all or too shiny. I wanted something feminine but also not childish or anything that drew attention. The anti-slip mat is perfect. 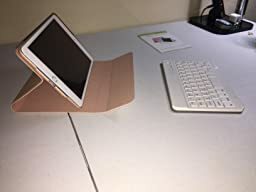 It holds everything in place, and I put it on top of the keyboard while its closed to protect the iPad screen. The magnets that hold the keyboard in place are strong, as well as the closure. The keyboard is very comfortable and has keys like a real keyboard. I couldn't believe how cheap this was, so I was skeptical, but I can confidently say BUY IT. You won't regret it. Check out the pictures, especially how it fits in the coat. 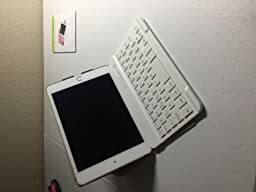 Also, you can connect the keyboard to any bluetooth device and because you can take the keyboard out, you can have the iPad pretty far away from you and still type. There are so many options. I love it. Don't overthink it. I'm a student, and I paid for this myself and it was a good investment. 4.Charging time: 2 hour, working time: 3 weeks Uninterrupted working time: 40 hour, USB charging cable included.